BMW is pretty good at inventing entirely new vehicle segments, and the 5 Series Gran Turismo is just such a vehicle. 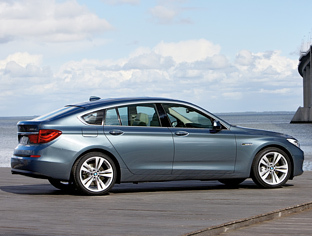 The defining feature of the 5 Series Gran Turismo is the coupe-like profile and slightly raised stance over the 5 Series sedan. 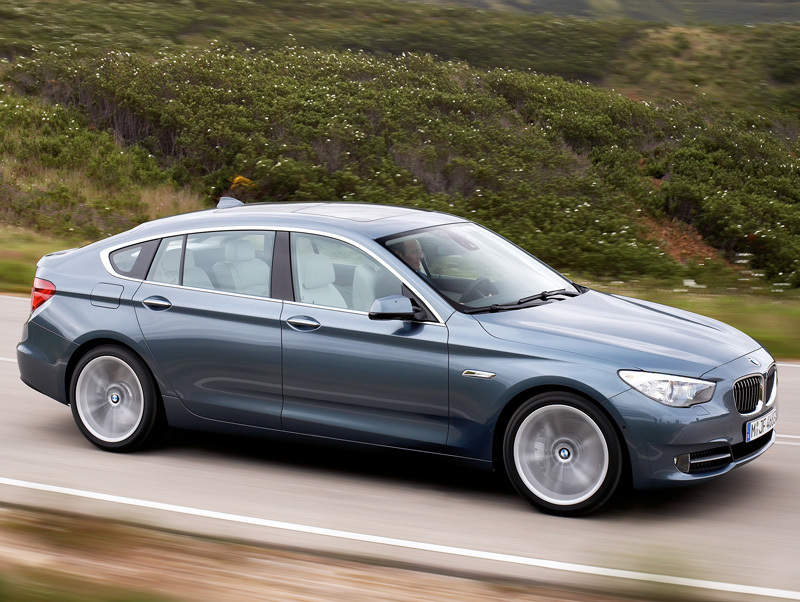 The BMW 5 Series GT can hardly be described as a good looking vehicle, although the added space and versatility do make it a practical choice for consumers who require the style and presence of a luxury sedan but the adaptability of a Sports Utility Vehicle. The high class feeling is further underlined by the slightly elevated seating position, the large window areas, the optional panorama glass roof, as well as luxurious materials and quality finish. The controls and instruments are laid out in a clear, structured arrangement and include BMW's new iDrive system with a 10.2 Display monitor. 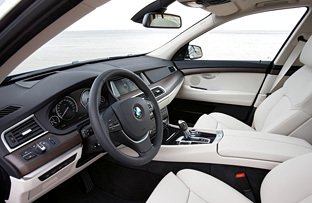 The interior of the BMW 5 Series Gran Turismo enables the driver and passengers to vary the space inside the car as they wish to their individual, personal requirements. 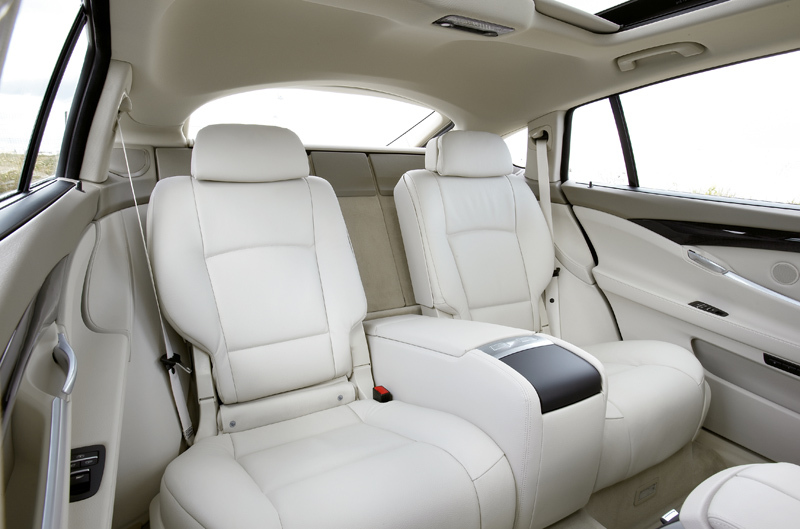 In their standard position, the rear seats offer the passengers the same kind of legroom as in the BMW 7 Series combined with the same headroom as in the BMW X5. In this configuration, luggage capacity is 440 litres or 15.4 cu ft. When required, the rear seats may be moved individually to the front by up to 100 millimetres or almost 4", with legroom still remaining the same as in the BMW 5 Series Saloon and an increase in luggage capacity to 590 litres or 20.7 cu ft. And after folding down the rear-seat backrests together with the partition, finally, luggage space increases to its maximum capacity of 1,700 litres or 59.5 cu ft. 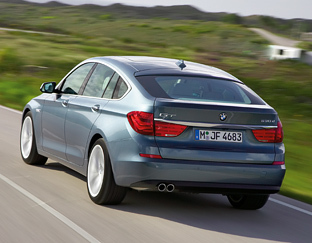 The two-piece tailgate on the BMW 5 Series Gran Turismo means luggage or cargo can be loaded in two different ways. Either by opening the small, sedan-like door beneath the rear window, with the tailgate remaining closed, or by opening the entire rear hatch. 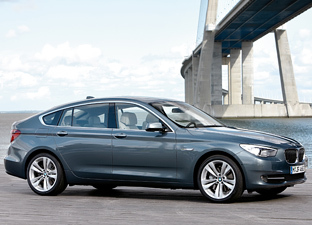 The BMW 5 Series Gran Turismo is available with three different engine options. 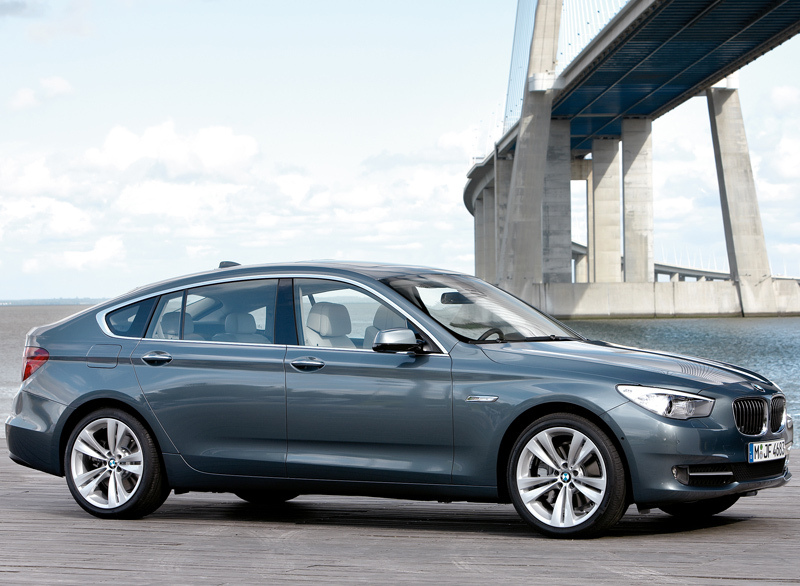 The BMW 530d Gran Turismo is powered by by a 3.0 litre straight-six diesel developing 245 hp @ 4,000 rpm. This engine offers a 0-60 mph time of 6.9 seconds and a top speed of 149 mph. 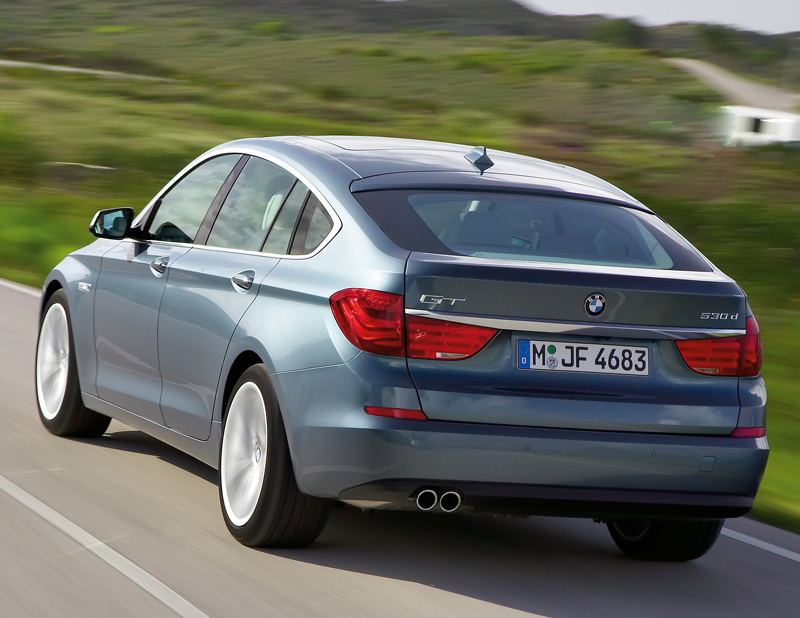 The 535i Gran Turismo is equipped with a 3.0 litre straight-six with TwinPower Turbo. This engine offers up 306 horsepower @ 5,800 rpm, a 0-60 mph time of 6.3 seconds and an electronically limited top speed of 155 mph. 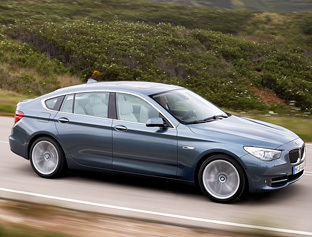 The top spec model of the 5 Series Gran Turismo is the 550i Gran Turismo. This version is fitted with a 4.4 litre V8 with TwinPower Turbo. 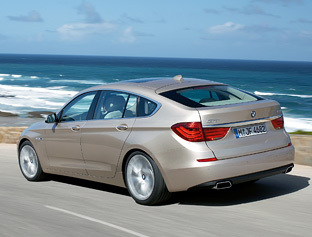 Power output for the engine is rated at 407 hp @ 5,500 rpm and 442 lb-ft (600 Nm) of torque @ 1,750 rpm. The 550i Gran Turismo can sprint from rest to 60 mph in just 5.5 seconds. Top speed is an electronically limited 155 mph. 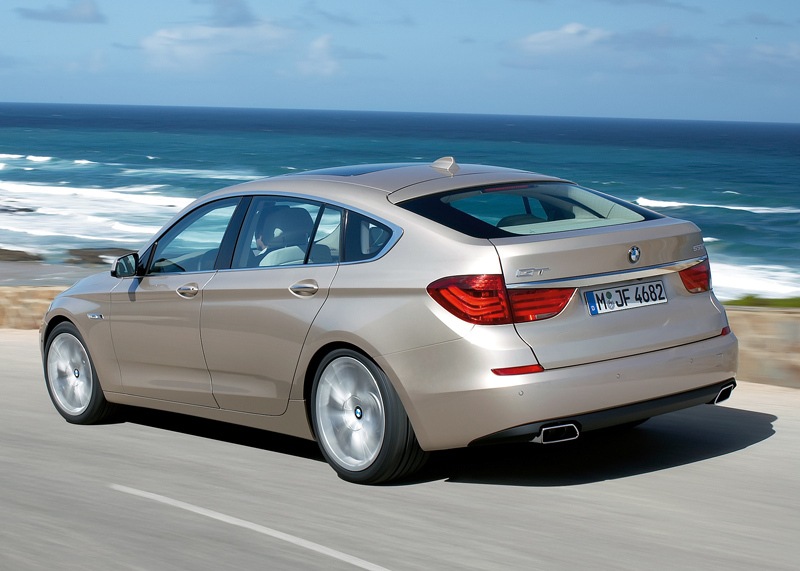 All versions of the 5 Series Gran Turismo come as standard with an eight-speed automatic transmission.